Last week, Netflix (NFLX) hosed down its subscriber targets for the current quarter. The video giant now expects to close out this month with 24 million domestic subscribers, well short of the 25 million accounts it was forecasting earlier this summer. The boneheaded move of the week? Financial journalists and other reporters blaming this on Netflix's recent decision to start charging customers on unlimited DVD plans $7.99 a month to stream from its growing digital catalog -- something that until this month's billing cycle was included in their plans. It's just a coincidence, folks. 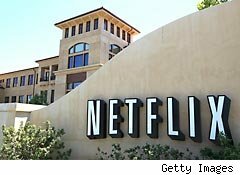 The number of customers Netflix is targeting to be paying for both streaming and DVDs by mail actually held constant at 12 million in its updated outlook. The Million Couch Potato March came from those paying only to stream (going from 10 million to 9.8 million) and those only receiving optical discs (going from 3 million to 2.2 million). After taking a closer look at this metric, why did shares of Redbox parent Coinstar (CSTR) soar on the Netflix news? The DVD-only plans at Netflix didn't get more expensive. In fact, the unlimited DVD plans got $2 a month cheaper. Seeing Netflix customers abandoning the disc-based plans is more of an ominous sign about the rental of DVDs and Blu-rays -- Redbox's business, essentially -- and the cheering of Coinstar investors is sadly misplaced. Netflix wasn't the only company making news last week. Here are some other of last week's biggest surprises, blunders, and flat-out boneheaded moves. Bring on the Lynch mob: After several years of underperformance, Fidelity Magellan (FMAGX) manager Harry Lange was replaced. Fidelity's popular mutual fund -- where Peter Lynch rose to fame through the late 1970s and 1980s -- has been an unwieldy beast to manage. One can't put too much of the blame on Lange's shoulders, given the challenges of allocating $17 billion in net assets. However, Lange did put himself in this situation. "Six months from now, I'll look like I'm a star," he told The Wall Street Journal back in April. Well, the market only got worse, so Fidelity is doing him a favor by letting him go after five months so he doesn't have to eat those words come October. A note to any aspiring fund manager out there: Keep any cockiness or false bravado out of media earshot. Loose lips sink rocking chairs: There's an activist battle shaking Cracker Barrel Old Country Store (CBRL) down to its root beer-flavored peppermint stick roots, and the casual dining chain isn't doing itself any favors. Biglari Holdings (BH) has accumulated a nearly 10% stake in the company, and CEO Sardar Biglari wants to shake up Cracker Barrel's board. It's against this backdrop that Cracker Barrel posted disappointing quarterly results last week. That's only going to help Biglari's cause, but the company's own remarks about its shortcomings will give activists even more ammo. "To continue to compete successfully in this environment, we plan to introduce more accessible entry price points on our menu and reinforce our affordability with more price-oriented marketing messages," CEO Sandra Cochran notes in the company's earnings release. "We also are improving the guest experience through changes to the operating platform that address the order accuracy and server friendliness issues that emerged in our guest research this year." Our grub's too expensive? Check. We're messing up our customer orders? Check. Our servers are surly? Check -- please. Putting the "owe" in IPO: With companies canceling proposed IPOs left and right, and since the few that dare to hit the market are getting pummeled, why did Restoration Hardware file to go public last week? The retailer of stylish home furnishings has posted losses in each of its four previous fiscal years. Restoration Hardware has been turning a profit in its most recent quarters -- and same-store sales are improving after years of shrinking -- but investors have never been pickier when it comes to Wall Street debutantes. Restoration Hardware should have waited. A few more strong quarters and some time to win back burned IPO buyers would have gone a long way. Longtime Motley Fool contributor Rick Munarriz does not own shares in any stocks in this article, except for Netflix and Cracker Barrel. The Motley Fool owns shares of Biglari Holdings. Motley Fool newsletter services have recommended buying shares of and buying puts on Netflix.